On websites created in WebWave CMS - website builder with no coding - you can add files, which can be downloaded by users. After clicking on a picture, button etc. 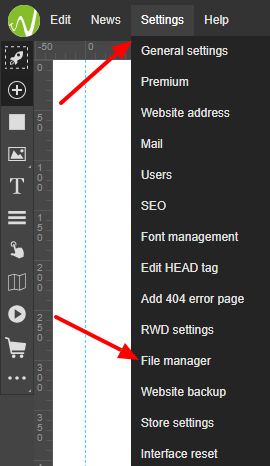 In website builder WebWave go to Settings and open File Manager. Upload files to the manager. Open File Manager, select a file and copy its URL address. 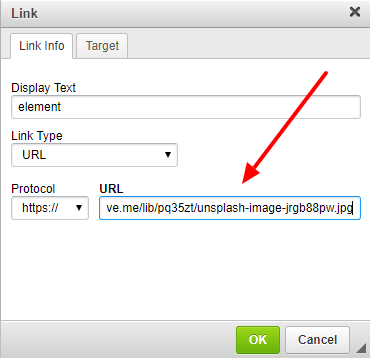 Mark the text, which will start file download and select "link" in the text editor (Crtl+L). In a new window, in URL Address field paste previously copied link. Select the element which will start the file download. In Settings panel o to Click action (link). Select "+" and choose a file. To File Manager you can upload any files BUT .exe, .bat, .msi, .sh, .bin.